Tender and tasty casserole with meat and potatoes can be cooked in two different ways: cut the potatoes in slices or make it a puree. In any case, get a delicious and hearty dish. Add in minced meat chopped small cubes onion, salt, ground black pepper and passed through chesnokodavilku garlic. Mix thoroughly. Heat the pan with vegetable oil and fry the meat for 7-8 minutes. Especially good potato casserole with minced meat, consisting of equal parts of pork and beef. But you can also use pure pork or ground beef. 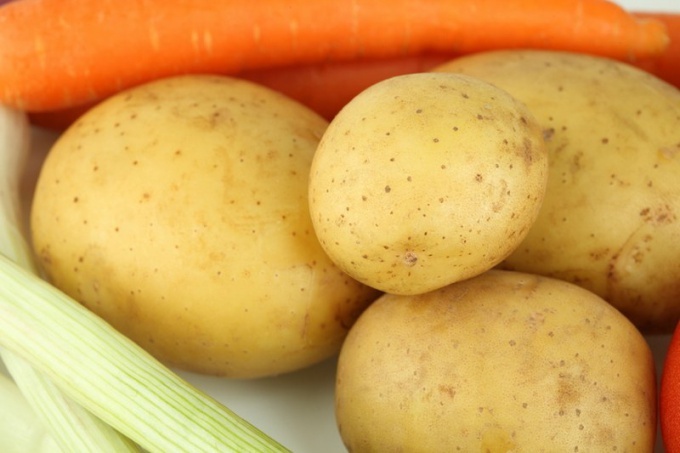 Wash and peel the potatoes, prepare for pie - make mash or chop the potatoes slices. Casserole of mashed potatoes and minced meat prepared from ready-made mashed potatoes and fully cooked meat. Mashed potatoes for casseroles should be prepared as usual with butter and milk, casserole with ground beef is much tastier. But you can just mash the potatoes and season with salt to taste. On a greased baking sheet or a baking dish place a layer of mashed potatoes, then a layer of forcemeat, then again a layer of mashed potatoes. Casserole with minced meat and potatoes slices prepared from half-baked potatoes and ground meat. Potatoes cut into slices thickness of 0.5-1 cm and filled with boiling water for 4-5 minutes, then boiling water is drained and the potato is cooled. The beef for this casserole can be cooked, not completely – it needs to remain juicy. Casserole with minced meat and potatoes slices longer prepared casserole with stuffing and mashed potatoes, so the meat has time to doganitsa. Place on a greased vegetable oil a baking sheet or a baking dish a layer of potato slices, then a layer of forcemeat, then again a layer of potatoes. Prepare the sauce for filling casseroles. Mix lowfat sour cream and eggs, add melkorublenoy greens, passed through chesnokodavilku garlic and black pepper. Pour this mixture in the casserole. Preheat the oven to 180 degrees and put it in the casserole. For cooking casseroles of mashed potatoes and minced meat will need about 30 minutes, and cooking casseroles with meat and potatoes slices – 40-50 minutes. 5 minutes until cooked, remove the form with the casserole, sprinkle it with grated cheese and put back in the oven. Wait until cheese is melted and crispy.